When you're working with new or unfamiliar sound equipment that has varying inputs and outputs while on stage or on location, you can make them compatible using the right adapters. 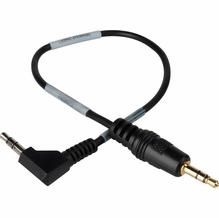 This makes powering and connecting your sound equipment easier and less stressful no matter where you're working. 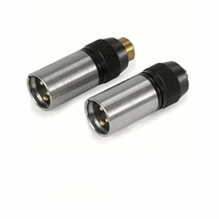 BarnDoor Lighting offers a variety of adapters, including XLR adapters, mini jack adapters, terminators and barrels that really come in handy when you're in a pinch and need to get the job done. 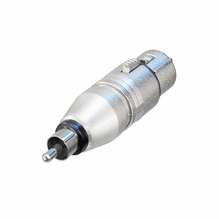 You'll find affordable adapters for mics and styles that solve last-minute impedance and level matching problems made by Voice Technologies and Neutrik. 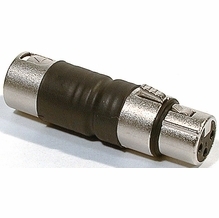 These adapters are compact and durable enough to toss in your gig or run bag for just-in-case scenarios. Unsure which adapter to buy? BarnDoor Lighting Outfitters team of film, video and stage experts can assist you with your purchase. Reach out to us today at 1-888-276-3667 or by e-mail at info@barndoorlighting.com with your inquiries.